When I first read about Vinyl Dye I was really excited. 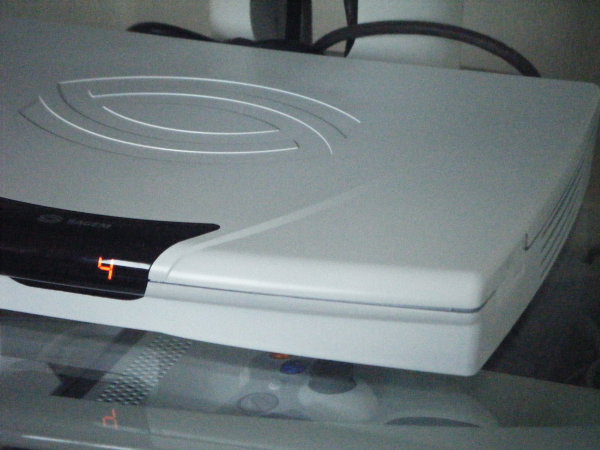 I’d had my Freeview box a while, the rest of my setup was pure white, like the Nintendo Wii or slightly off white like an Xbox 360. My Freeview box on the other hand, a mish mash of light black with a light grey top, I guess Sagem were hedging their bets when the made it that way. Either way, it didn’t fit in and I’d thought of painting it with spray white, then thought again, to paint it I’d have to sand it, clean it, prime, sand again to give a key, clean it again, then spray final coat of white. Then have my nephew come round, chuck the Xbox controller on it and see it has chipped away. Vinyl Dye has the advantages of Spray paint (cheap and easy to use) without all that hassle. Here is what I did. Take the thing apart, I can’t be bothered with masking tape, this is much simpler, then wipe down the parts with household spray and a cloth, I used Cilit Bang! Here it is, just sitting on a box waiting to look much better. Do this outside, the tin says ‘a well ventilated area’, so outside seems best. I sprayed a small piece of plastic that came off the Freeview box to test, this seemed good, so I sprayed the whole thing. As you can see I’m not doing the bottom of it, just the sides, this is after 1 spray coat. It is best to use more fine coats than one thick coat. This dries VERY quickly; in under 5 minutes, so doing 3-4 coats takes no time, especially considering the ‘no-prep’ approach. And here is the finished box up close. And here it is again, with all the other white items so you can get a feel for the colour match. 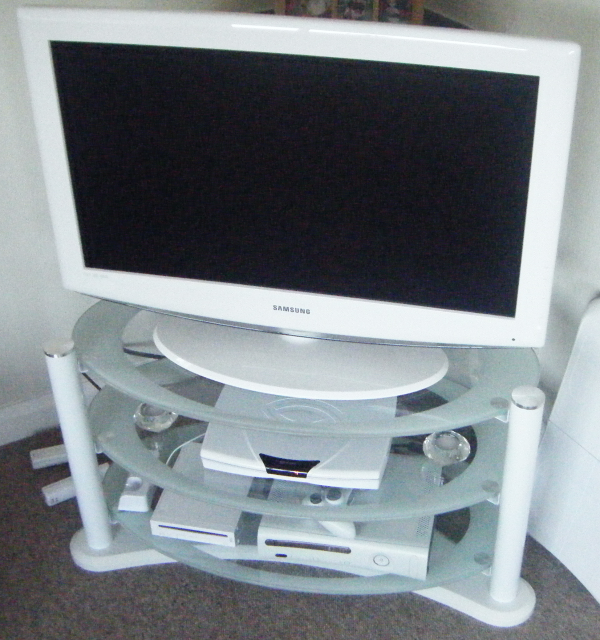 Many friends have commented 'where is your old freeview box', it looks like it came out of the factory in white and they wan'ted my old one! They are shocked when I say it's just there, under the TV. So all tests that matter are passed. The finish really is that good, and it doesn’t scratch or chip off, it can take Xbox controllers being tossed on top of it no problem. .